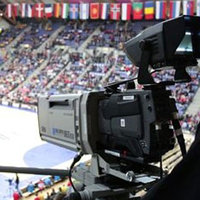 Infront Sports & Media, media and marketing partner of the European Handball Federation for the EHF European Championships, has secured an exclusive media rights agreement with beIN SPORTS, the global network of sports channels. The contract covers the Men’s and Women’s EHF EUROs in 2016 and 2018, as well as the rights for the away qualification matches of the French national teams. It includes free and pay coverage for live, delayed, highlights and news coverage across a broad geographical region. For the Women`s EHF EURO 2018 in France, beIN SPORT FRANCE will operate as host broadcaster as well as facilitate free-TV coverage (through sublicensing or free-to-air window on beIN SPORTS network) live and in full length of all matches involving the French national team. For all four tournaments in the cycle, beIN SPORTS FRANCE will broadcast a minimum of 10 matches on its platforms (including all French matches, both semi-finals and one final match). The Men’s and Women’s EHF EURO 2016 are scheduled to take place in Poland (15 - 31 January) and Sweden (4 - 18 December) respectively and the Men’s EHF EURO 2018 in Croatia (12 - 28 January) with the Women’s EHF EURO 2018 in France (30 November - 16 December).